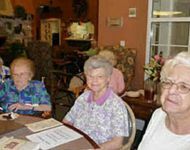 Moving into a nursing home or assisted living facility is a radically life-changing step. Most residents who have given up independent living are experiencing loss: loss of their homes, work, social activities, and lifetime accumulations, even their places of worship. Often their family and friends are left behind. At the same time, most have been driven to make this move by physical limitations or illness and are coping with new life skills. Feelings of helplessness, hopelessness, loneliness and boredom frequently inhabit their days. Most receive only a few occasional outside visitors and many none at all. 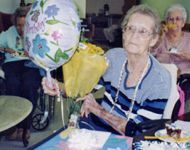 Companionship and meaningful relationships are crucial to the resident’s well being. Although it is hard to establish in such an environment, we’ve seen how we can bring about change when we bring God’s love into the equation through caring visits. 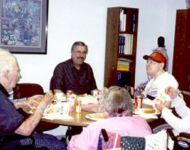 Love Thy Neighbor Ministries is a Christian organization that reaches out, through neighborly visits, to the lonely residents of nursing homes and assisted living facilities in our community.